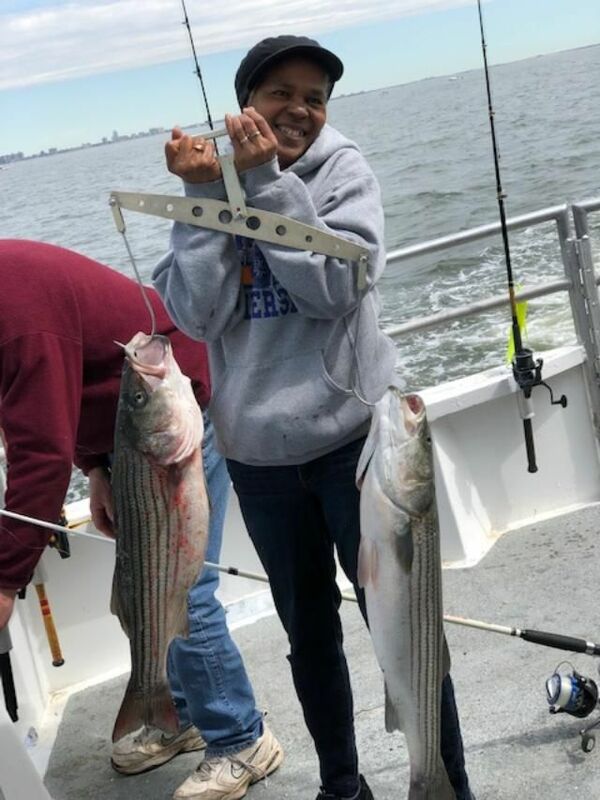 Miss Belmar - RED HOT STRIPER FISHING! 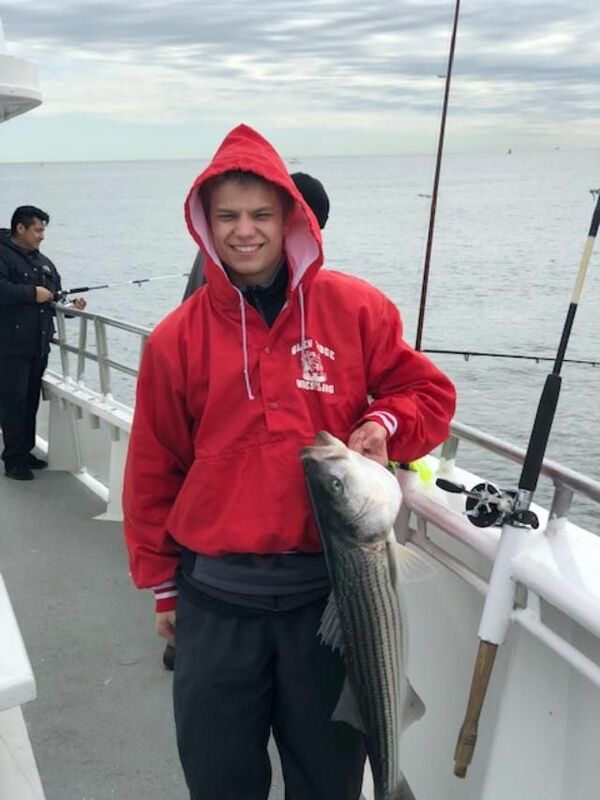 Today, we had RED HOT striper fishing! 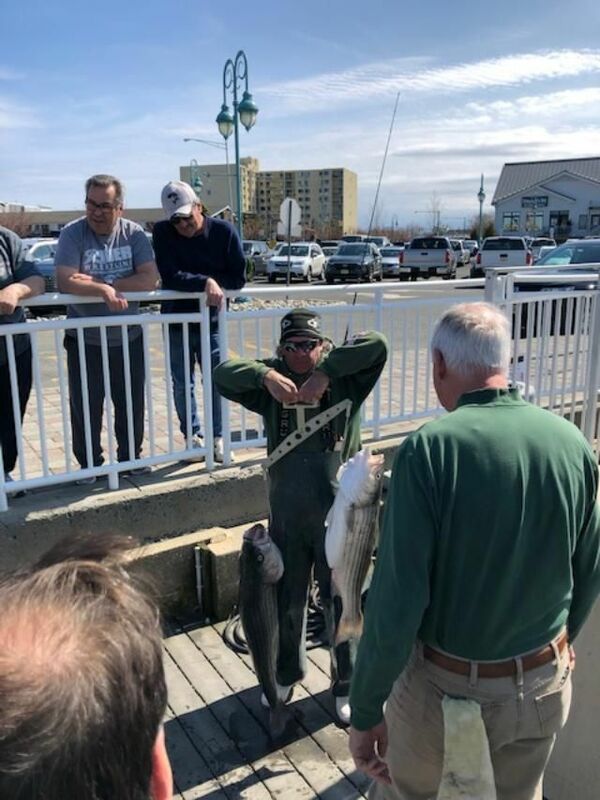 I talked to Captain Lenny early this morning and he said that we started catching stripers first thing north of our inlet. We had fish on top and great readings. 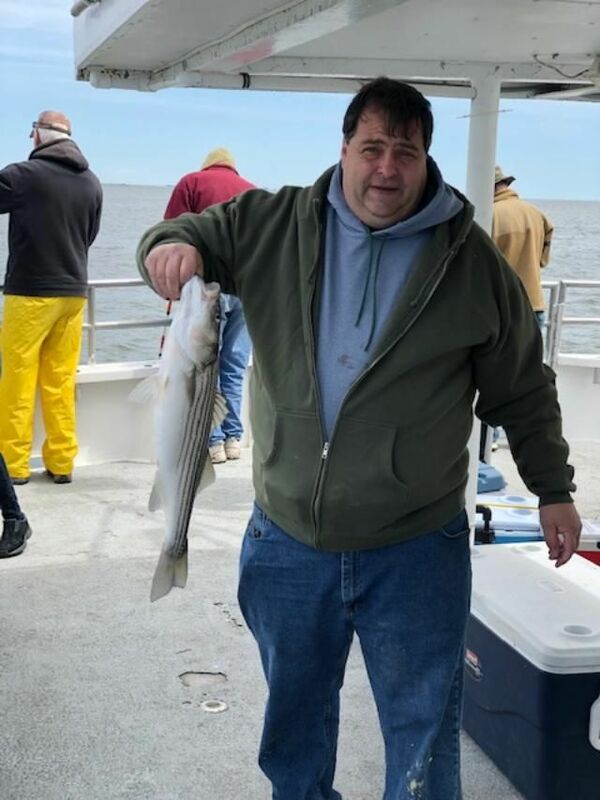 I talked to him again just now and he said that we are almost limited out with more than a couple dozen stripers on board up to 35 lbs. 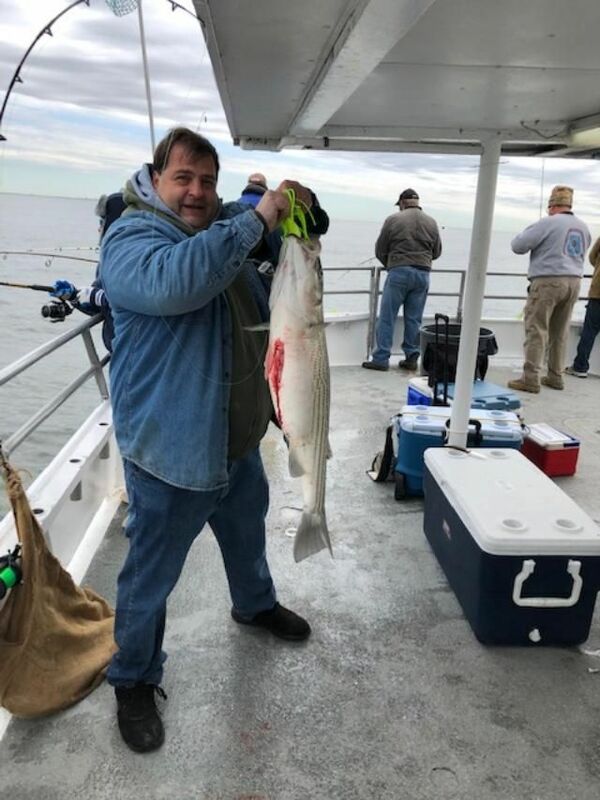 Most of the fish are all big and it sounds like by the end of the day he will hopefully be limited out. 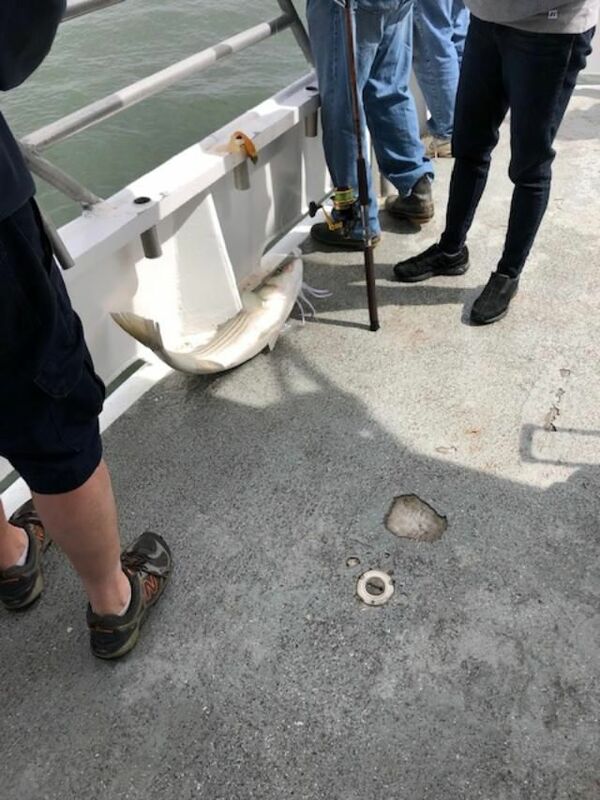 Everything is being caught on swim shads and crocs. Our pool winner was Omar Argueta from Baltimore, MD. 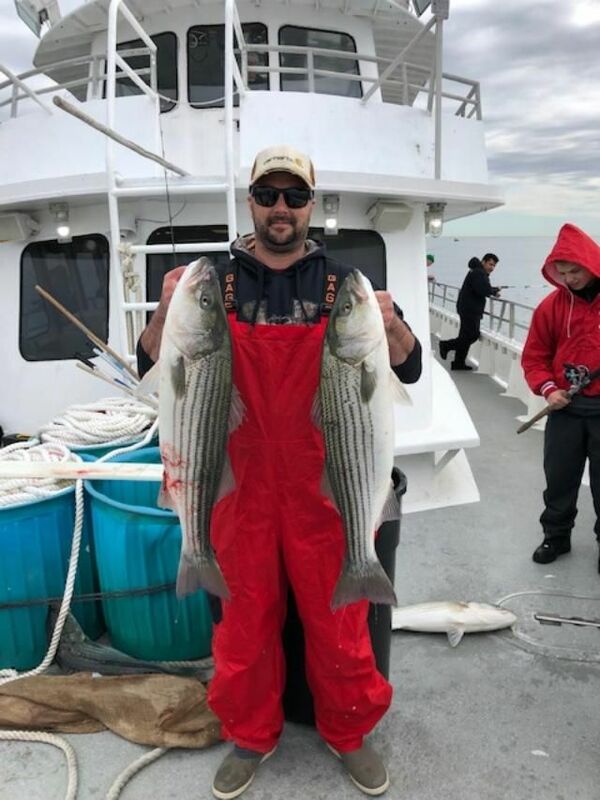 We are sailing daily for stripers from 7:30 a.m. – 2:30 p.m., and then for the blues when they move in, weather permitting. 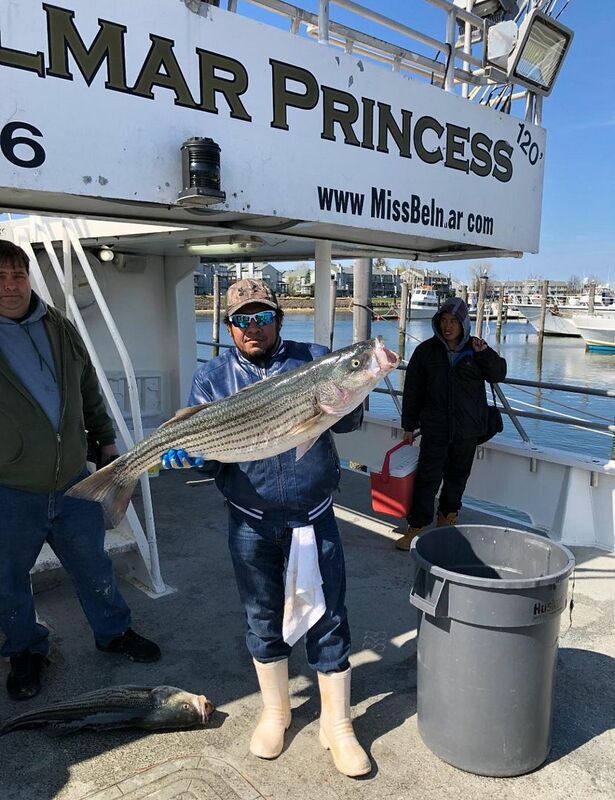 The Miss Belmar Princess is the largest, fastest and cleanest fishing boat in Belmar. 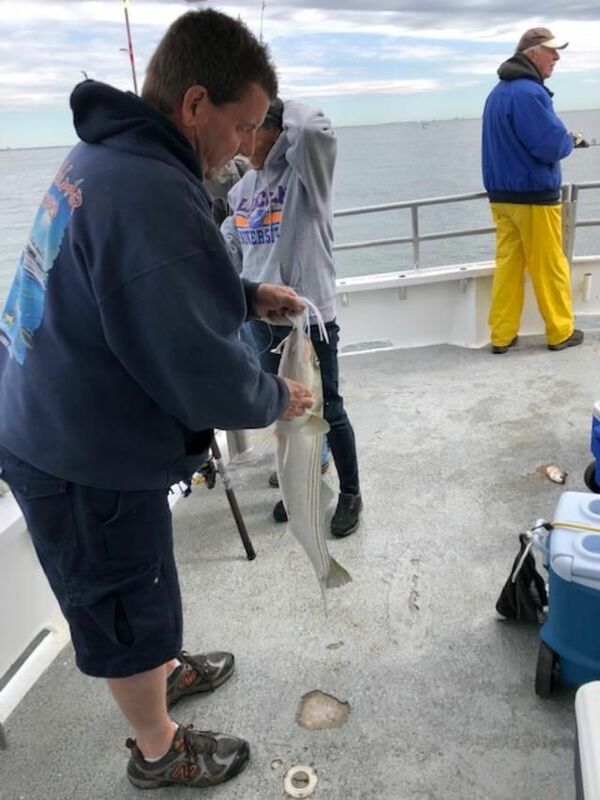 With Miss Belmar's 3 engines and a total of 2,100 horsepower, she is the first boat to the fishing grounds every day and we guarantee it. No other boat comes close. Try us and you'll see why. Last edited by missbelmar; 04-17-2019 at 05:03 PM..